One of the things that got me started with interactive books was finding ways to include students who are nonverbal or use augmentative communication systems in story time as well as reading and literacy activities. 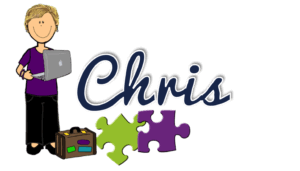 So I wanted to include some goals and objectives for how I use interactive and adapted books to promote AAC use as part of the series on interactive books. You can of course use AAC in the same ways that you use the books for the goals in my previous post, but here are 3 sets of goals specifically aimed at using AAC. Probably one of the easiest and most common ways to combine interactive books and vocabulary is to have the students find the missing vocabulary word. This can be done in a variety of ways but should always be done in a natural way. For instance, you don’t want to say “find milk” on the device–you want there to be a reason to find milk. That’s where interactive books come in. Most interactive books, like mine, are designed to have interactive pieces that students can exchange or put in the book based on the text being read. For some students you can use just the pictures as a low tech AAC strategy. For students with speech generating devices, can use those same pictures to put on switches or put the same vocabulary on their device. Or you could have them find the pictures and then use their device to say the sentence. The expectant pause when you get to the place where they have to find the word/picture is critical so they know it’s time for them to speak as well. Given an adapted text, Joe Student will select the correct vocabulary word when shown 4 pictures to complete (or match) the text with 80% accuracy. Given an adapted text with pictures, Joe Student will read the sentence in the book using his speech generating device, finding the word to complete the text with 80% accuracy. Given an interactive book, Joe Student will find the targeted picture vocabulary word and say its name using his speech generating device with 80% accuracy. Given interactive books, Joe will increase his vocabulary by recognizing 8 new common vocabulary words by reading them using his speech generating device with 80% accuracy. 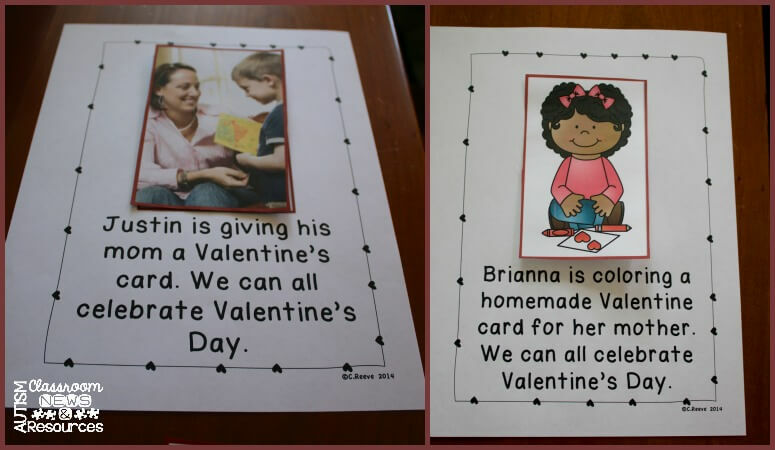 My Linguisystems adapted books and my Valentine’s Interactive Books have a repeated phrase on each page of the book. So for instance, each page ends with a phrase (e.g., We can all celebrate Valentine’s Day.). This was done to make the text predictable but also to allow for students to verbally, or with AAC, fill in the phrase with each page. It gives the student the opportunity to read the book and participate in the story telling. Sally will participate in reading an adapted text, using her speech generating device (or switch) to read a repeated phrase to the class at the right time independently on 9/10 pages. We are all trying to make sure we work on language and communication that goes beyond just basic requests and naming nouns, so another way to use AAC with interactive books is to have the students describe what is happening. On many interactive books, this is a typical literacy and language activity we do with all our students just like with any type of book. Some books, however, require the reader to identify items with specific characteristics. You can use those to get the student talking about the different characteristics (e.g., color, size, number, etc.). 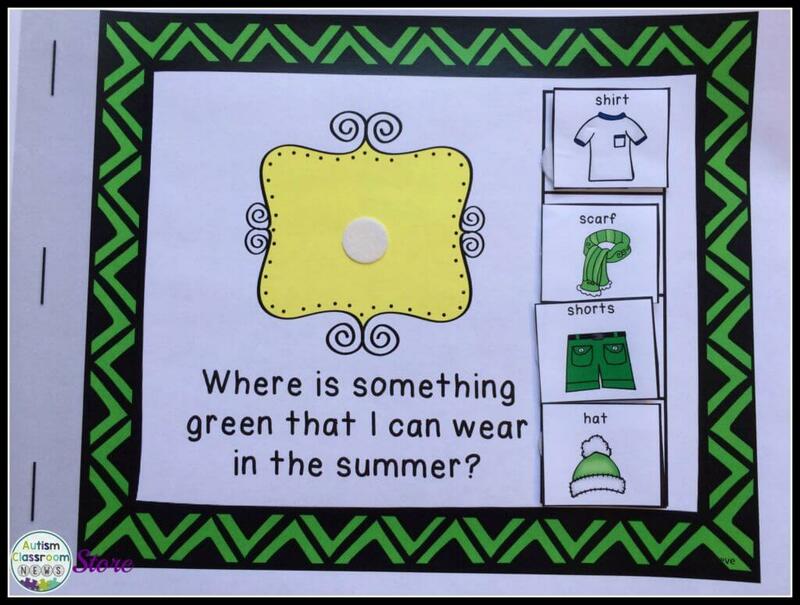 So in the example below, the student has to find the green one you wear in summer…so it’s working on two characteristics. This is a great time for him to tell you about it, since you just primed him. Or have him describe all four items and find the right one. When given an adapted book with multiple picture choices that differ on two dimensions, John will describe the items by color and feature using his speech generating device with 90% accuracy. 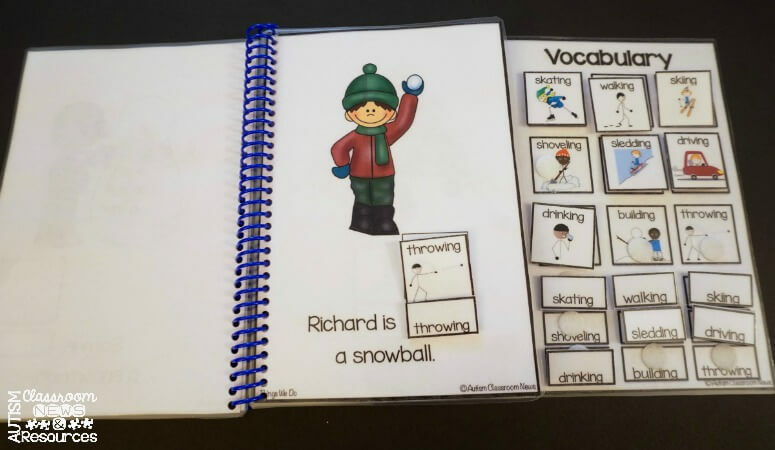 When given an adapted book with a descriptive phrase (e.g., Richard is throwing a snowball) and multiple pictures of characters in actions that are the same or different along at least 2 dimensions (e.g., a boy throwing, a girl throwing, a boy sitting, a girl sitting), John will describe which picture the reader should choose to match the picture in the book (e.g., the boy throwing) using his AAC device with 80% accuracy. 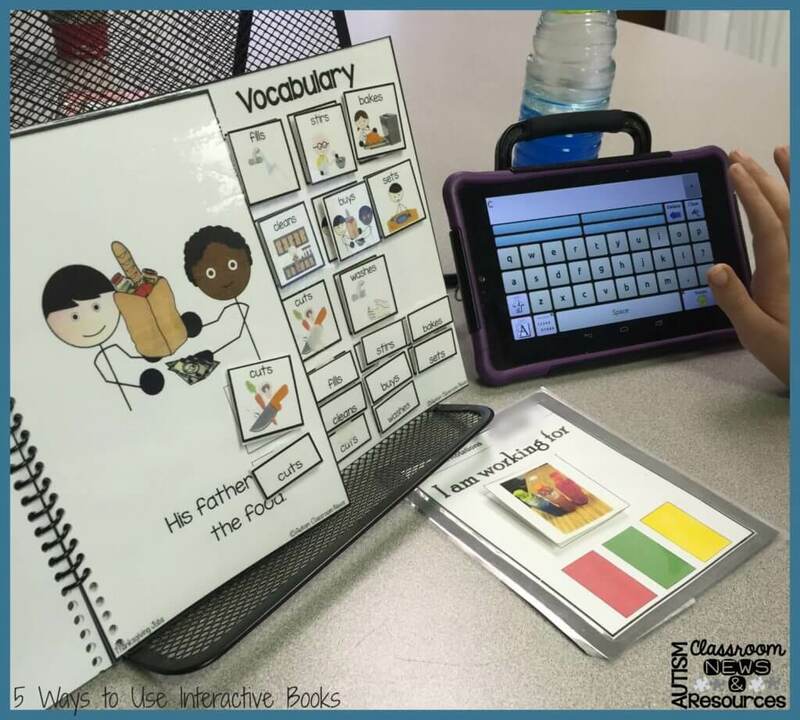 So those are just some ways you can use interactive books with AAC. One of the things I love about this type of book is that they are so versatile and you can use them for everyone in the room in one way or the other. I would love to hear how you are using my interactive books in the classroom or see pictures of them in use. Help! I Need Your Input! I also have another question I would love an answer to. I recently completed some live meetups as part of the Data Monster Online book club. It got me thinking of ways to do some of that with everyone using live video and other ways to deliver information or do question and answer times. So if you have a minute, can you answer the two questions below so I can figure out what people might want to try? You can answer in the comments or on Facebook and I would really appreciate finding other ways to connect with you. Do you use Periscope and/or Blab? Would you want to try it if you don’t? Do you listen to podcasts? Would that be a good way for me to deliver information? Perfect timing. I’m writing an IEP this weekend. I prefer podcasts. They work better for my schedule. I would love to watch a podcast. Your insight is so very helpful. I prefer podcasts as well. I am so excited to have found this website. I needed to find activities to use. I would be interested in the podcasts.